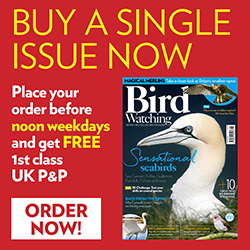 August is a summer holiday month in the UK, but for birdwatchers it is also the time when the migration wave of autumn really starts to get into full flow. There is a mix of juvenile birds, adults, British breeders and continental movers passing through the country. Meanwhile, birds like the Hobby are taking advantage of the glut of dragonflies. Go out and enjoy the sunny autumn! One sure sign that autumn migration is well underway is the appearance of the first juvenile Whinchats. More ‘scaly’ than their parents, they are neat, orangey little chats, usually perched on top of a weed, bush or barbed wire fence. Note the bold supercilium and white outer tail, which easily tell them from similar Stonechats. August sees an explosion in the numbers of larger dragonflies and Hobbies are chief benefactors of this glut. They behave in much the same way as a hawker dragonfly, but on a large scale, grabbing the insects on the wing. But Hobbies use their talons to grab their dragonfly prey, then pass it to the bill consuming it while still effortlessly flying along. The striking adults are joined now by browner-fringed juveniles, lacking the red trousers of their parents. Most Red-backed Shrikes which pass through the UK in late summer and autumn are juveniles or first-winters, though there may be the odd male in its incredible pale blue, black and rufous finery. Juveniles are altogether more stripy and scaly and largely brown. They remain, as do all shrikes, among the most charismatic passage migrants and a great find. Pied Flycatchers migrate through the country on their way to the wintering grounds, starting this month. Don’t expect them to look strikingly black-and-white, though, as autumn birds are brown and white, in their ‘fresh’ plumage (which wears by spring to reveal the black of the male). Smaller than a Spotted Flycatcher, but equally inclined to perch on exposed branches and fence lines.